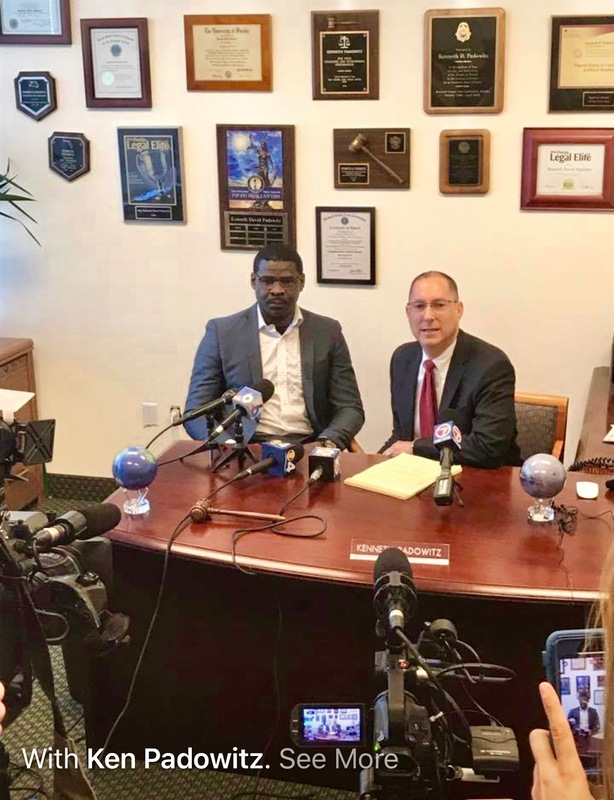 FORT LAUDERDALE, Fla. (AP) — An attorney says a completed police investigation in Florida shows former NFL star Michael Irvin is innocent of sexual battery claims made by a female acquaintance. Irvin lawyer Kenneth Padowitz said at a news conference Tuesday that prosecutors should drop the case after reviewing the police investigation. Irvin told reporters the evidence backs up his contention that nothing improper happened. Police have been investigating since the alleged incident involving Irvin and an unidentified woman at a Fort Lauderdale hotel on March 22. Padowitz says the case is now in the hands of the Broward State Attorney’s office, which says the matter remains under review. The 51-year-old Irvin was a star receiver for the University of Miami and the Dallas Cowboys. He was elected to the Hall of Fame in 2007.